Can I Add a Wired Siren to the Qolsys IQ Panel 2? Yes, you can add a wired siren to the Qolsys IQ Panel 2. To do this, you will need a compatible siren, some 18 gauge 2-conductor wire, and a 12VDC plug-in transformer. Once you have all of the necessary equipment, simply complete the wiring process outlined below. Then test the siren. 2. Wire the siren. A hardwired siren connects to the grey terminals at the very end, on the opposite end from the black and red terminals. That is shown in the picture above. Any 110VAC in to 12VDC out plug-in transformer with at least 300 mA of current available can be used. NOTE: The contact rating for the siren relay is 12VDC at 300 mA. Any attempt to use a siren that draws more voltage or current than this will damage the siren relay! We recommend using 18 gauge 2-conductor wire that is 25 feet or shorter to ensure proper power to the siren. The wire should be stripped a small amount on the end. To add the wire to the terminal, press down on the corresponding tab of the terminal. You may need a small screwdriver to do this. With the tab pressed down, insert the wire into the terminal. Release the tab to secure the wire in place. Gently tug on the wire to make sure that it is fully secured. The wire connected to the Siren GND terminal (labeled in orange above) will run directly to the negative (-) terminal on the plug-in transformer. The wire connected to the EXT Siren terminal (labeled in red above) will connect to the negative (-) terminal on the external siren. The positive terminal (+) on the external siren will connect to the positive (+) terminal on the transformer. You can then plug-in the transformer for the siren. 3. Power on the system. Power the system on by first plugging-in the back-up battery, then the transformer for the IQ Panel 2. Press and hold the power button on the right side of the panel for 3 seconds to power on. 4. Test the siren. If your system is monitored by a central station, you should put your system in test mode before testing the alarm. Activate an audible alarm on the system to trigger the siren. If the siren sounds, then the device was set up correctly. 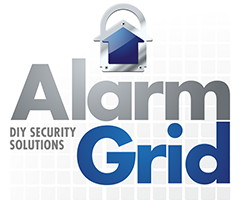 If a siren that will draw more than 300 mA of current is required, Alarm Grid sells a kit that can be used for this purpose called the Lynx-WEXT. This kit contains everything needed to add a wired siren to the Qolsys IQ Panel 2, except for the siren itself. This configuration is easy to set up.